It is clear that our understanding and knowledge of the Arctic and how climate change in the Arctic might impact the rest of the world is improving every year. Science keeps moving forward. The rate of change in the Arctic we observed in the last few years urges us to update policy on a much more regular basis and to ensure that the inter-linkages are properly addressed. In the last 20 years, the extent of the summer sea ice in the Arctic has been declining. But at the end of the 2012 summer melt season (end of September), it reached a new record low, which went well below earlier projections. Compared to the yearly average of 6.5 million square kilometres between 1979 and 2010 for September, the Arctic sea ice shrank below 4 million square kilometres in September 2012, which is lower than any minimum value observed in the last three decades. Greenland's ice sheet contains enough water to increase global sea levels by 7 metres. In any case, if it were to melt completely, it would take many centuries. Recent melting of the Greenland ice sheet is estimated to have contributed up to 0.7 milimetres a year to sea level rise (about one quarter of the total global average sea level rise of about 3.1 mm/year). Projections for global average sea level rise estimates by 2100 vary from 0.2 to 2.0, depending on the model and scenario used. According to Vaughan, both the very lowest and very highest estimates of sea level rise are extremely unlikely. He estimates that the middle range (0.4 – 1.0 meter) by the end of this century was more likely. Vaughan also pointed out that sea level rise is not a uniform event; some areas of the world will experience a higher than average rise in sea levels, while other parts will see a fall due to gravitational forces acting differently across the planet. Moreover, sea level rise is not expected to stop at the end of the century. Consequently, policy makers and coastal residents will need to prepare for further rises in the next century. Warmer temperatures in the Arctic accelerate the melting, which result in darker surfaces on the sea and land. These darker surfances retain a larger part of the solar energy instead of reflecting it back. Warmer air and water temperatures in the region also affect the surrounding land, including the permafrost, which has started melting both on land and at sub-sea level. The Arctic permafrost contains carbon dioxide (CO2) and large amounts methane, which is released into the atmosphere as the permafrost thaws. ‘Methane is a greenhouse gas 20 times more powerful than carbon dioxide. So now we risk facing further global warming and even faster melting in the Arctic,’ added Wadhams. In addition to potentially causing sea levels to rise and contributing to global warming, the Arctic melting could also alter the oceans' salinity levels and affect oceans currents. Moreover, increased absorption of CO2 in the oceans can lead to ocean acidification and this can in turn alter the composition and distribution of key Arctic species like crustaceans, krill and plankton. Almost four million people live in the Arctic region and have developed their communities and economy to fit their environment. Climate change and warmer temperatures require them to adapt to new conditions. Tove Søvndahl Pedersen, Head of the Greenlandic Representation in Denmark, highlighted during her presentation day-to-day challenges that people of Greenland have to face because of climate change: ‘As an example, we are currently struggling with an epidemic of mold fungus in our housing stock. An increasing number of homes and public buildings are infected with a fungus, hitherto unseen in Greenland. This has major implications for human health and for our economy. 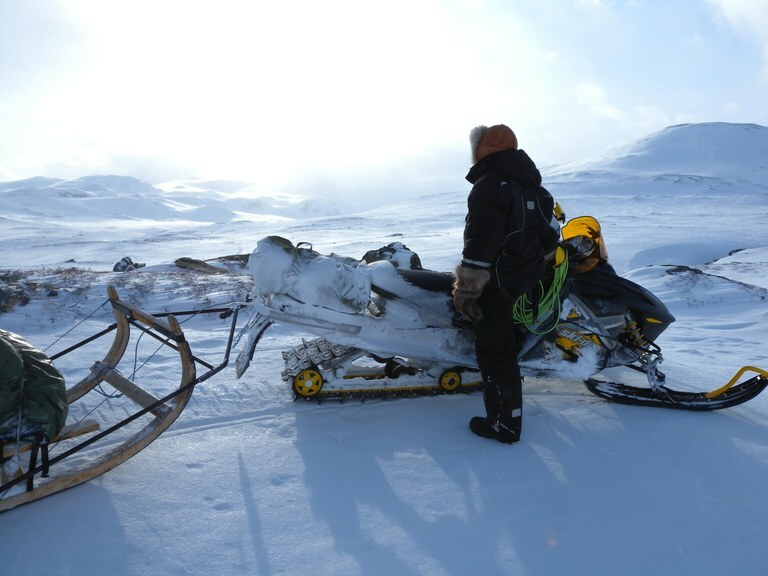 On the other hand, warmer temperatures also offer new opportunities to the people of Greenland, such as increasing the scope for agricultural production in southern Greenland or in the exploration and extraction of mineral ores, some of which are strategic for climate friendly technologies and have the potential of offering a much needed alternative income as traditional livelihoods cannot sustain the welfare of people. As increases in oil, gas, mineral exploitation and shipping may all contribute to further warming and likely thawing of permafrost releasing methane, Greenland is keenly aware of the need to take a balanced approach. The Arctic and the Antarctic act as the planet’s cooling system. This cooling effect, known as the 'albedo effect', diminishes when the extent of the Arctic sea ice goes down and the global heat balance is shifted. A warming Arctic could lead to more extreme summers and winters in the Northern hemisphere as it may affect the North Atlantic Oscillation by pushing the jet-stream further south and causing more precipitation. Because changes to the planet’s cooling system has the potential to change many global systems from weather patterns and oceans streams to species distribution, a melting Arctic will affect not only the people of the Arctic but also the rest of the world population. Many European cities are built on the coast and, depending on how much sea levels rise, they will need to adapt and prepare. Current storm surge barriers may need to be improved, and erosion may need to be to be managed to maintain coastlines, protect beaches, infrastructure and residential areas. In Europe alone, 70 million people live within 500 meters of the sea and the economic assets have an estimated value between 500-1000 billion Euros. Other parts of the world like Bangladesh or low-lying island states are also at risk from sea-level rise. According the EEA report, climate change is affecting all regions in Europe, causing a wide range of impacts. Further impacts are expected for the future, potentially causing high damage costs. The report highlights the need for adaptation in all regions and sectors across Europe. The EEA report supports the European Commission’s European Adaptation Strategy, which will be published in early 2013. Climate change evident across Europe, confirming urgent need for adaptation Climate change is affecting all regions in Europe, causing a wide range of impacts on society and the environment. Further impacts are expected in the future, potentially causing high damage costs, according to the latest assessment published by the European Environment Agency today. For references, please go to https://www.eea.europa.eu/articles/the-melting-arctic or scan the QR code. Environmental spatial data: what is happening where? How much does industrial air pollution cost Europe? Can transport come to TERMs with its environmental impact?